We are dedicated to providing information and education for people who want to enhance their outdoor living spaces. 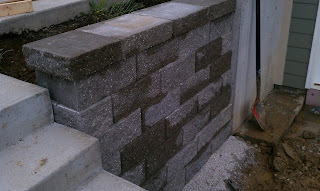 Big or Small, when it comes to retaining walls, Designer Landscape LLC can do it all!. Our hardscape crew completed this Versa-Lok segmental retaining wall in the Village of Cherry Hill on Wednesday. You'll find it at the back of "The Gables" apartment building under construction. Our crew has been busy completing the new landscape at Shoppes at Stadium; the new home of Panchero's Mexican Grill among others. We're sure our guys will be in a for a lunch burrito. Vamos a Comer Mexicano! 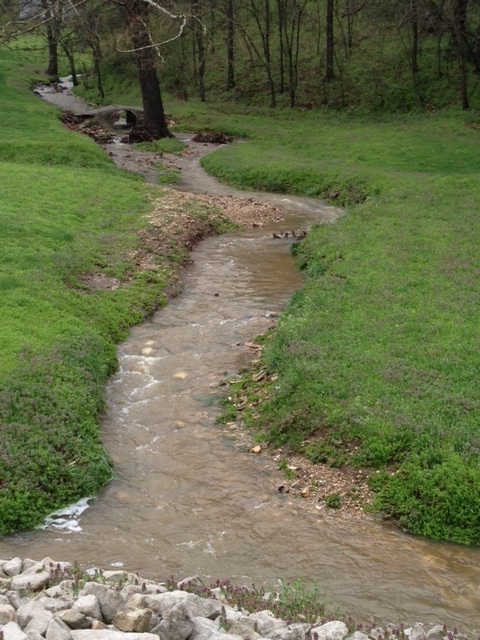 With all the recent heavy rain are you experiencing standing water, water runoff, or erosion problems? If so, contact the experts at Designer Landscape & Irrigation, 445-6010. Our staff's experience totals over 50 years in finding solutions for all your landscape needs. 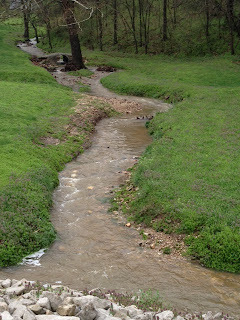 Spring is here, Have you called Designer Landscape LLC? The sun has finally come out. At Designer Landscape LLC, we're ready for this snow to melt so our crews can get back to work. The recent snows interrupted a few of our current projects; including tree planting at Shoppes at Stadium; and a new segmental retaining wall at the Broadfield Shops, just west of Shakespeare's West. Other tasks we're looking forward to include: spring pansies at Stadium & Providence; spring cleanups around town, including Cheddar's Casual Cafe and our valued residential clients around town; and a new irrigation install or two. Look for our ad in an upcoming issue of Inside Columbia magazine and Inside Columbia's Design Guide. Another snow day in mid-Missouri. This storm was a wet and heavy snowfall. Many of our landscape plants are doubled over, including the boxwood hedge. Gently knocking the snow off their branches will reduce any damage that might occur.